The Internet has brought with itself numerous benefits. Through the Internet, people have established successful business empires, social media platforms among other things. Within all these good things we find online, the Internet has also provided a home for criminals who want to use it to achieve their rogue’s desires. Nowadays, everyone is always on the watch out for scams and viruses that may affect their computers. These criminals are always devising new methods of which to spread their malicious activities, the most common one being: spreading their fraudulent links with enticing messages encouraging a person to click on them. This article will teach you how to spot dangerous links before you click them among other things. The spammers use various methods to spread their malicious links all over the Internet. The first thing you should do before starting to surf the Internet is to make sure that your desktop computer, laptop or smart phone is well protected against viruses. It is important to have installed active antivirus software to minimize the chances of your device from capturing this spams links. Your email inbox is the first place that you should be sure to check for these links. Fortunately, most of the email service providers have developed measure to lock out these links, but in one way or another, the spammers manage to get their links into your mail inbox. You should learn to treat all emails from unfamiliar contacts with ultimate caution and care. Do not be so anxious to click on the links contained therein without first establishing the credibility of the sender. If you feel you can’t fully identify the sender, it is advisable that you either delete the message permanently or store it under spam category in the event that it turns out to be important emails from a credible person you dint know earlier. While browsing, shifting through various websites, watch out for pop up advertisements prompting you to click on them in order to win a prize most commonly money or a Smartphone. Online researchers analyze that almost 90% of these advertisements are spam and should be avoided at all means. It has been discovered that these links are hidden behind these advertisements. Once you click on them, your browser is automatically redirected into the link’s website where you are likely to find eye catching stuff, tempting you to stay on. It is important to ignore these pop up advertisements, and if possible configure your browser in such a way that the pop up advertisements are totally blocked. The spammers are continuing to devise more ways to make their links as genuine and harmless as possible to increase their chances of attracting clicks. It is important to observe precautionary measures before starting to surf. Careless browsing will only land you into more problems. Always visit trustworthy websites where there is little chance of encountering the spams links. 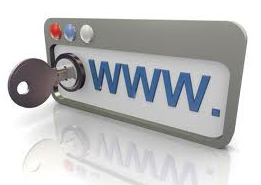 Keep away from questionable websites and do not download anything from the internet with first authenticating the file. All these will definitely help you learn how to spot dangerous links before you click them therefore keeping you safe.